You know the feeling: You thought you said exactly what you wanted to, but somehow a different message comes across. You end up feeling misunderstood...and the relationship that you're building -- at home, on the job, on a date, or in an interview -- slips a little further out of your control. Talk is the key to any relationship and conversational style is the key to any conversation. 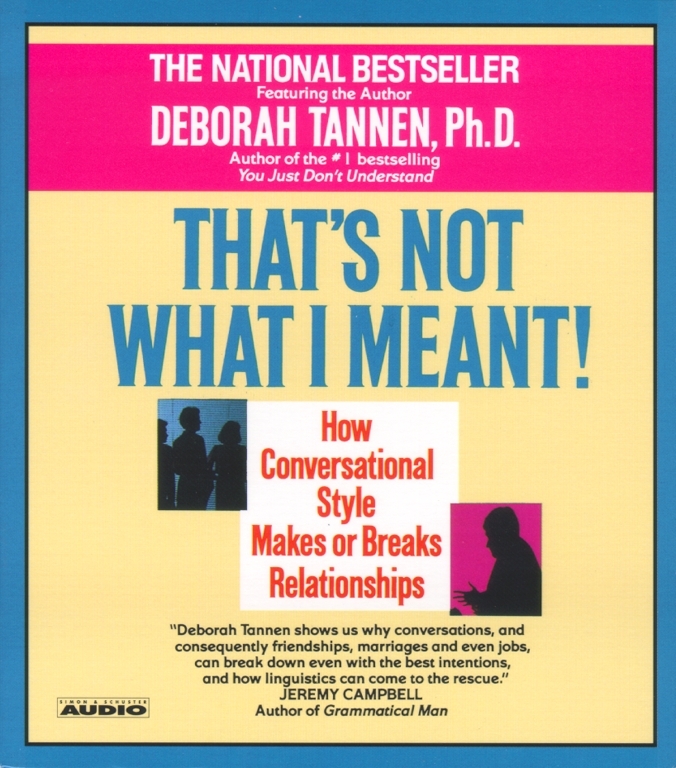 In That's Not What I Meant!, Dr. Tannen helps you recognize your own conversational style and understand the styles of others. Whether you are dealing with a person who's too quiet or someone who's a conversational bulldozer, learning to understand conversational style will help you deal with any situation. Through this understanding, you can prevent small differences from sparking big arguments, really hear what was said -- and what wasn't. That's Not What I Meant! will give you the tools to save any conversation -- or relationship.